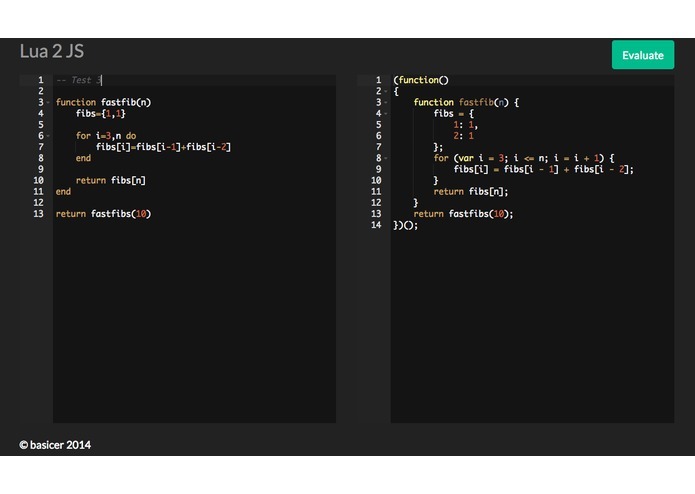 Operators replaced with function calls to maintain correct lua behavior. Lots of blood, sweat and tears to support language features like tuple unpacking and ... arguments. Custom error messages for common mistakes, such as forgetting an end, not closing "'s etc. Above error messages mention the beginning of the block they are referring to. Parser grammar written from scratch using PEG.js instead of porting existing JS parser. Loose parsing mode with support for multiple error messages and running half working programs. Vicky Chijwani: For braving the elements and making the first Aether integration. 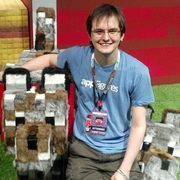 Matt Lott: For help finding bugs and writing the python unit tests in Aether the Lua ones are based on. Nick Winter: For answering way too many of Aether related question. #love@irc.oftc.net: For awesome use of the Lua language and breaking things in my parser.